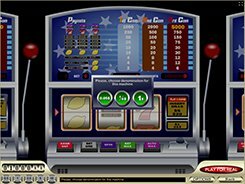 Disco Slot is a 3-reel slot machine developed by Gamescale and themed around disco. 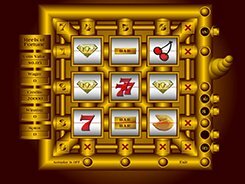 With spangle-studded symbols and a detailed background image showing party people dancing at a nightclub, the slot has a remarkable atmosphere of excitement and fun. 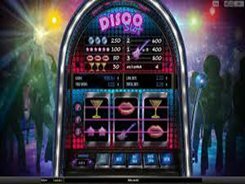 Disco Slot is a perfect choice for low-rollers since a total bet ranges within $0.01 and $0.75 per spin. All the symbols are related to the theme and include a cocktail glass, a kiss mark, star shaped glasses, a compact disc and an electric guitar. 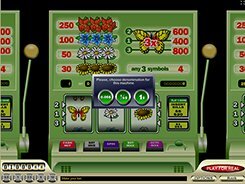 Like most classic three-reel games, this particular slot is devoid of special features like wilds, free spins or scatter symbols, but the gameplay is pretty enjoyable and immersive thanks to a fascinating and vivid disco theme. 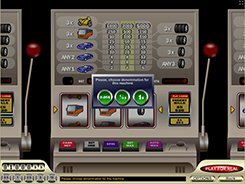 The highest win in the game amounts to 800 coins or $600 if you place the maximum stake. To win that prize, you need to spin in three Guitar symbols on the bottom line. If the same combination occurs on other lines, the award would be smaller – you get 600 or 400 coins for three Guitars landed on the top or central line respectively. PLAY FOR REAL MONEY!